Jupiter Guest Resort is located in Lang'ata, which is home to the famous Nairobi National Park and the Wilson Airport. What's more, Jupiter Guest Resort Lang'ata is a 5 minute drive to the Nairobi National Orphanage and a 5 minute drive from the Nairobi Central Business District (CBD). In addition, Jomo Kenyatta International Airport (JKIA) is just a 10 minute drive from our hotel whilst the Galleria, T-Mall, and Cross Roads Shopping Malls are not far away. 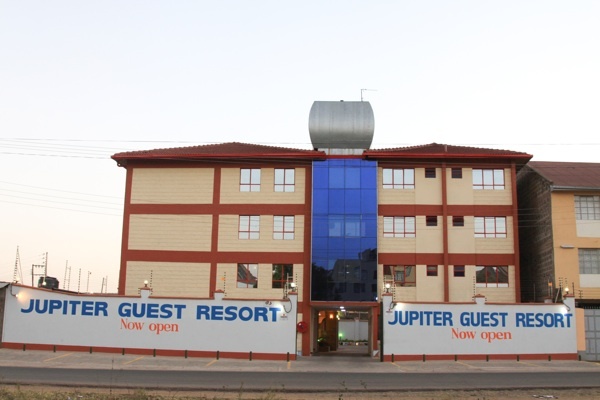 Jupiter guest resort Lang'ata the perfect destination for a guest who wants to experience the charms and attractions of the city of Nairobi or set out on a safari to any part of Kenya. Airport transfer from Nairobi Jomo Kenyatta International airport or Wilson airport to Jupiter Guest Resort Lang'ata or trasfer from Jupiter Guest Resort Lang'ata to Nairobi Jomo Kenyatta International airport or Wilson airport.